[SPONSORED CONTENT] When you talk about safety a lot of people switch off. Many see it as an annoyance, overly complex and even something that gets in the way of getting work done, but the impact of an onsite incident can be devastating. Managing the potential risks associated with using plant and equipment is extremely important because the wellbeing of every operator, workmate and visitor on a work site depends on it. It also ensures business continuity, which is important for owners, shareholders and suppliers. The Plant Assessor cloud-based platform was a world first when launched in 2004 and has evolved to become the leading product of its type, now holding detailed safety and compliance data for more than 105,000 makes and models of plant and equipment. Users are able to conduct detailed, consistent and accurate assessment reports quickly and efficiently. It has revolutionised the process of conducting pre-start checks and risk assessments because it has simplified and accelerated the process, whilst making it more thorough. More recently, Plant Assessor have revolutionised the process of sharing compliance information between plant owners and their clients. Plant Assessor is relevant to anyone who owns, operates, hires, imports, distributes, retails or auctions machinery. It’s especially relevant in the infrastructure and civil contracting sector because of the reliance on heavy machinery, and the complexity of operations common to the sector. Plant Assessor delivers transparency around machine hours and condition, safety information, service status, pre-start history and more. It also allows for easy sharing of this information with others, which considerably reduces compliance cost whilst improving the quality of the information available. The result is the ability to quickly and easily check who is on site and whether each machine and its operator are safe and meet site requirements. Nowhere is this more evident than in Forest Stewardship Council accredited contractors, many of whom rely upon Plant Assessor to meet the scheme’s plant & equipment safety management requirements. 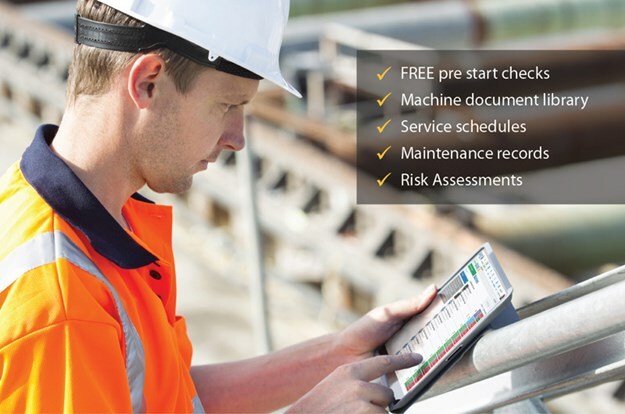 The platform has proven to be extremely popular because it has set the benchmark for managing plant and machinery safety, whilst making it simpler and easier to manage. The machinery database is enormous, the software features useful and the user interface is clean and simple so people find it extremely easy to use. Most importantly it allows you to manage and share documentation and other information from one central location, saving users time and money on the tedious job of meeting client compliance requirements. Plant Assessor is constantly updated with new machines, specifications, legislative and other requirements, so you are always up to date. The good news is, anyone can set up a Plant Assessor membership for free, add unlimited machines and users and use our non-generic, machine specific digital pre-start checks for free. Premium features can be used on a machine by machine basis meaning it is as flexible as each individual user wants it to be, and cost is a function of features used and the number of machines they are used on. For larger organisations, enterprise pricing is available, along with training, support and the other professional services required to implement a comprehensive enterprise wide system.